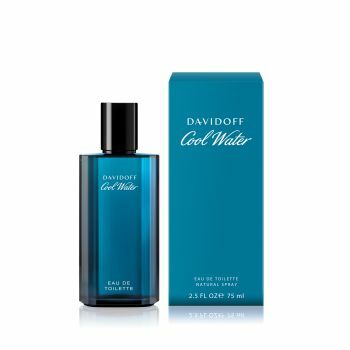 Davidoff Cool Water, one of the most iconic masculine fragrance, is an aromatic fresh fragrance. This unique scent is the essence of masculinity. Inspired by the strength and vitality of the ocean it bursts to the surface in swells of peppermint and lavender, then moves out with force and intensity in notes of jasmine, oak moss, geranium and sandalwood, finally gliding into a long, warm, sensual flow of amber and musk. Intense freshness. Strength. Masculinity.